This is the third of a new series of images from across North Carolina from my travels, and from the long intervals that I have spent with my camera making a record of where I have been. Upon examination of these random images, I concluded that best format would be the one page arrangement, where I cut the images to 1280 pixels wide, arrayed in a wide viewed 'fancybox' series, where there is a title of explanation, and maybe a bit more, but mainly, the photo should speak rather than my words. In fact, I plan to put my words on hold for a bit here, which will be to the fine relief of a great many. 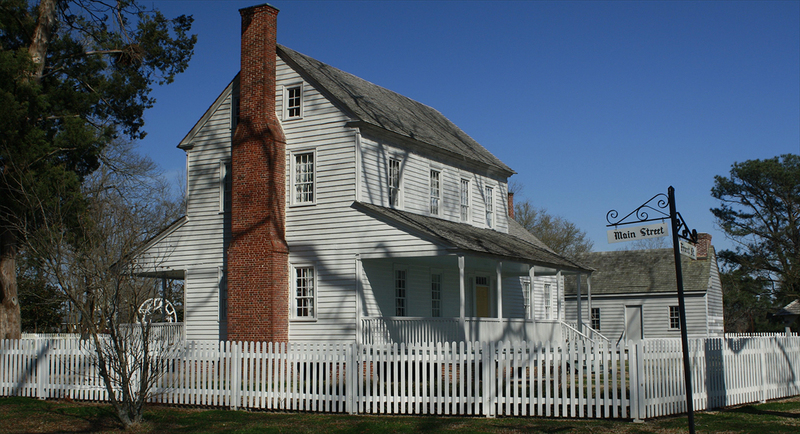 We begin in Beaufort County in North Carolina's oldest community, Bath, at the point of the peninsula between Bath Creek and Back Creek, here where the Bonner House rests: Above. 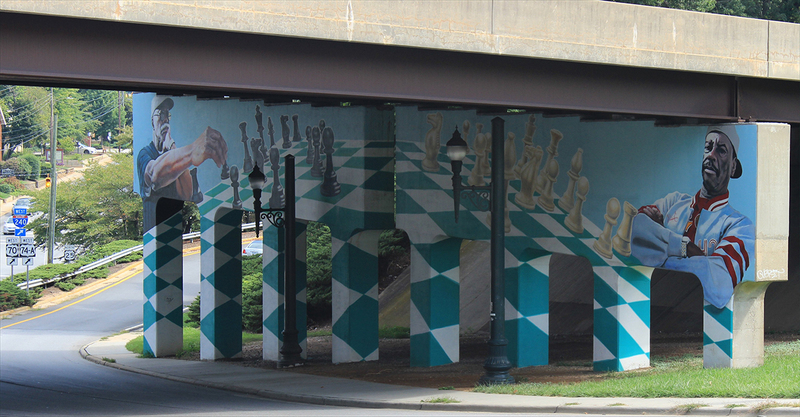 To Asheville, maybe North Carolina's most expressive city, deep in the Blue Ridge Mountains: Below. photos by Stan Deatherage Click images to expand. Tighten your seat belt because Charlotte is south and east out of these tallest, most rugged mountains of these eastern United States. 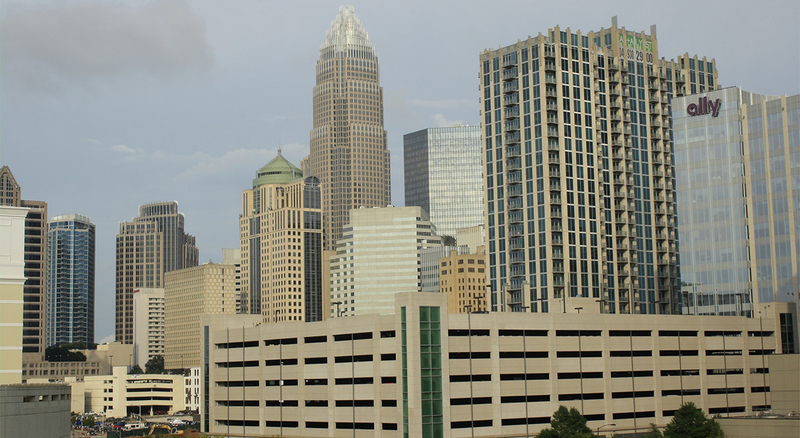 From the Bank of America Stadium, we view the skyline of North Carolina's Queen City: Above. 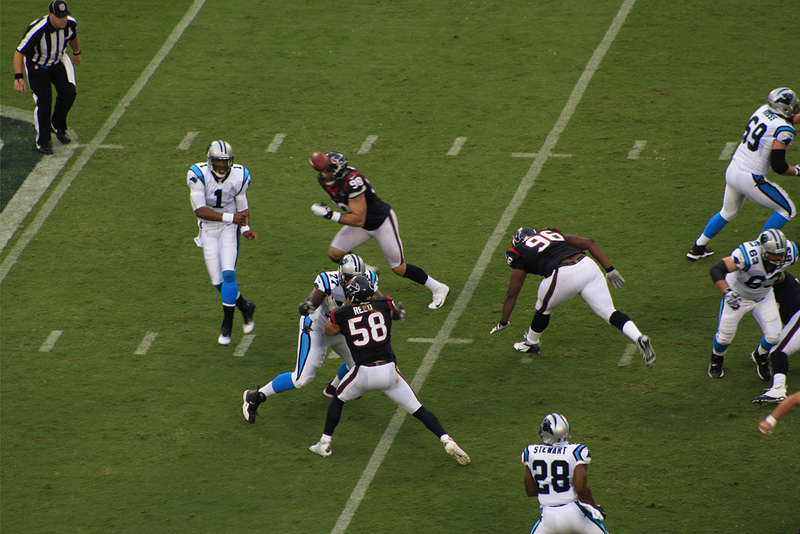 Charlotte has the distinction of being America's first gold rush town, now it is known as one of America's top banking centers, along with New York and San Francisco, and the Panthers: Below. photos by Stan Deatherage Click images to expand. Geologically and geographically, North Carolina is a very diverse state, and worth protecting. 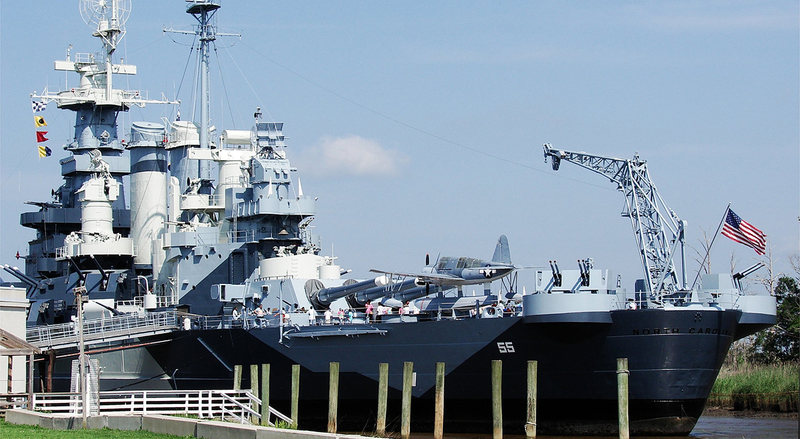 The USS North Carolina, shown here in a dredged out creek adjacent to the Cape Fear River, in New Hanover County, was being fitted for war in the New York naval Shipyard when America suffered the devastating attack at Pearl Harbor: Above. 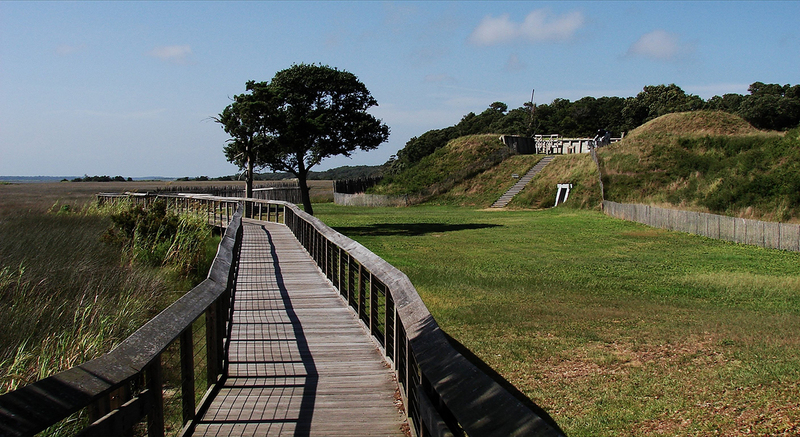 And during the War of Northern Aggression, Fort Fisher protected the Cape Fear River and has the noble distinction of being the last Confederate fort to fall, and Wilmington was the last port captured: Below. photos by Stan Deatherage Click images to expand. North Carolina is known for many things, not least of which are our beaches. 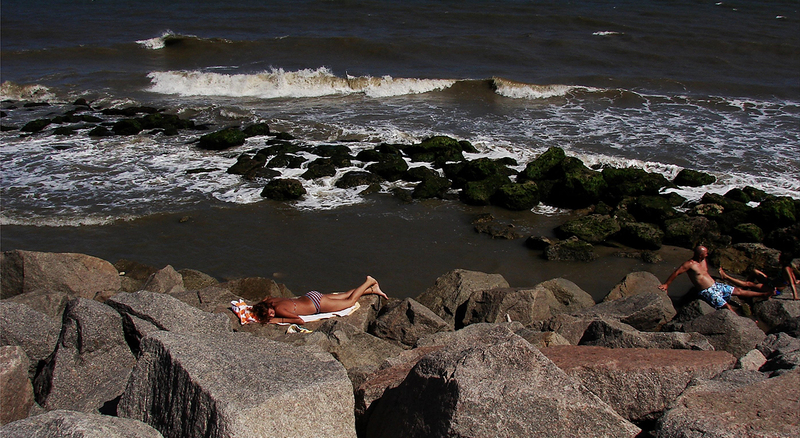 Intimately close to Fort Fisher is Kure Beach, where the expansive Rip Rap holds the beach and sustains Fort Fisher for future generations: Above. 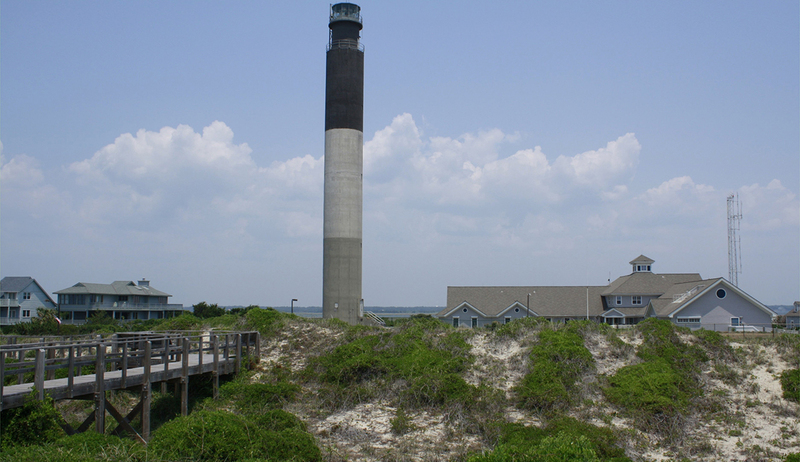 Just across the Cape Fear, and south is the Oak Island Light Station: Below. photos by Stan Deatherage Click images to expand. 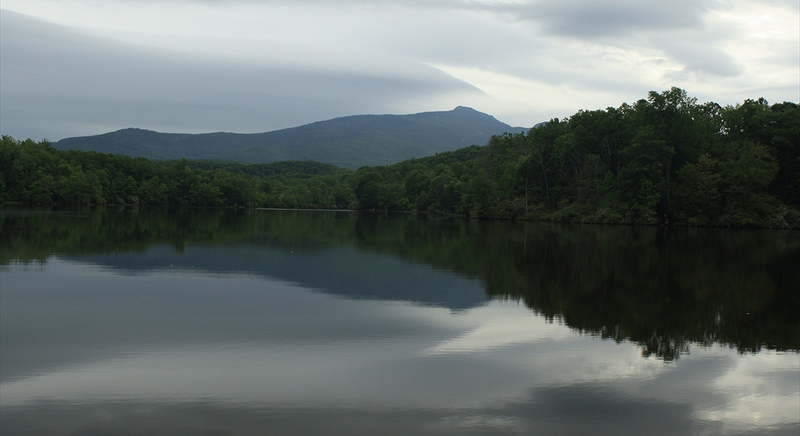 ... To the peaceful Julian Price Lake, where we see a distant Grandfather Mountain: Above. 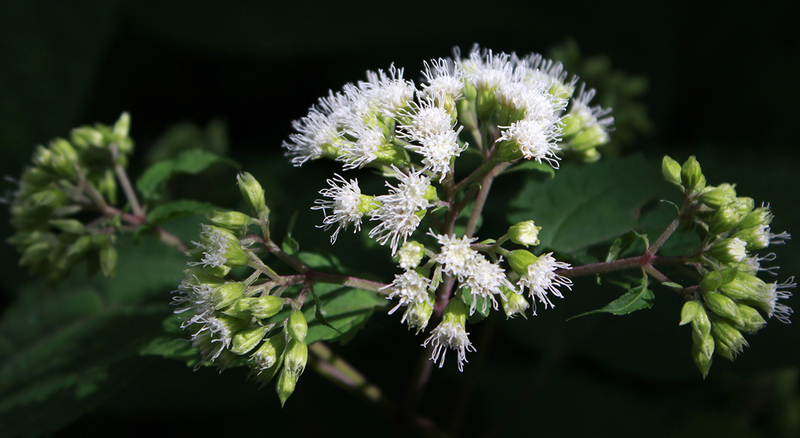 And then this lovely mountain flower easily found along the alpine ridge of the tallest of the Appalachian Mountains: Below. photos by Stan Deatherage Click images to expand. And then back east again, where I call home. 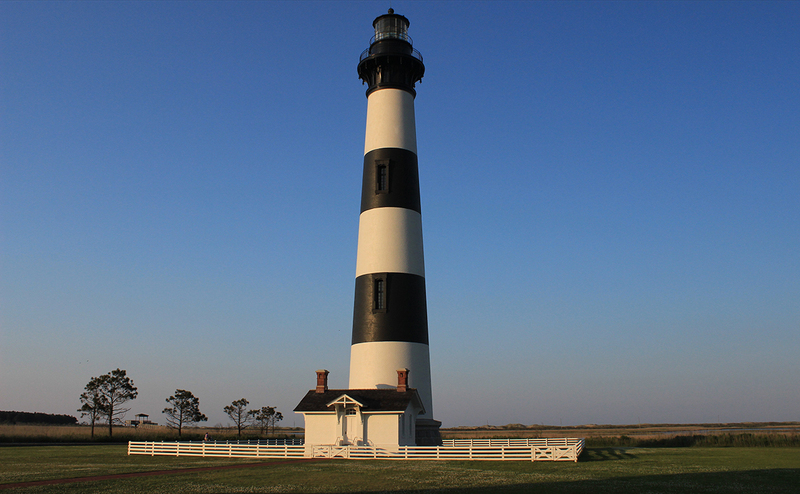 Back to Bodie Island Light Station east and north from my home in northern Beaufort County: Above. 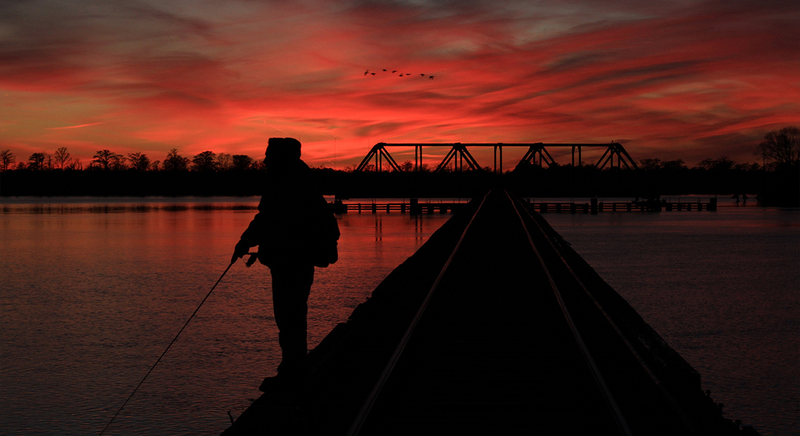 Back to the trestle fording the Pamlico River, minutes from my home, where I have gotten so many wonderful views of life, especially at sunset: Below. photos by Stan Deatherage Click images to expand.